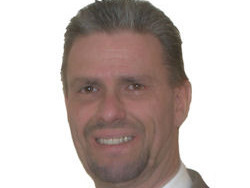 Maurice van der Woude is een expert van Computable voor de topics Outsourcing en Cloud Computing. Beveiliging, Commercie, Consulting/advies, Management, Informatieanalyse, Kantoorautomatisering, Multimedia, Projectmanagement en Research/wetenschap. Management, Outsourcing, Digital Transformation, ERP, Cloud Computing, Internet, Mobility, Security, ICT-branche en Maatschappij. Werkzaam bij: Personal Consult Holding B.V.